This style runs small; we recommend ordering the next size up. 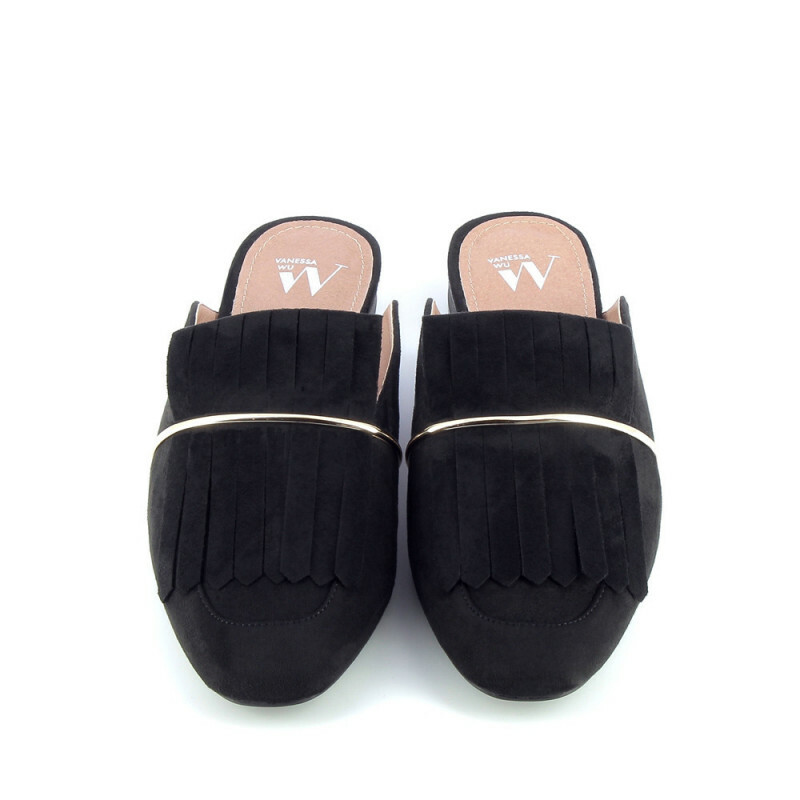 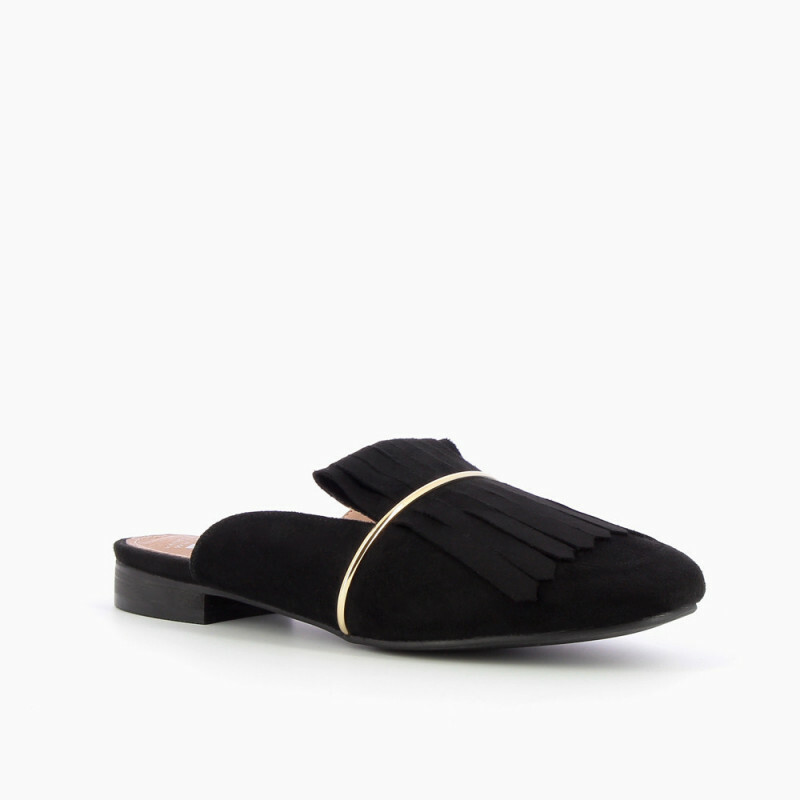 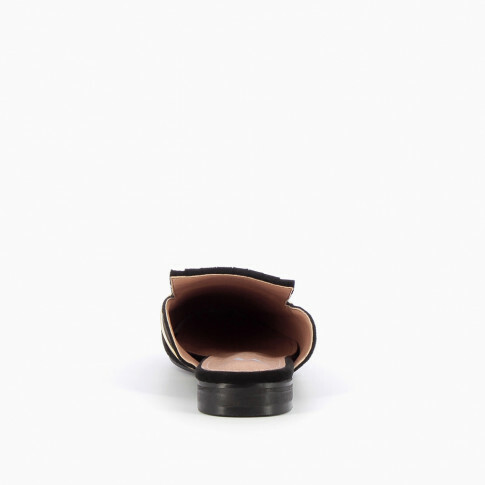 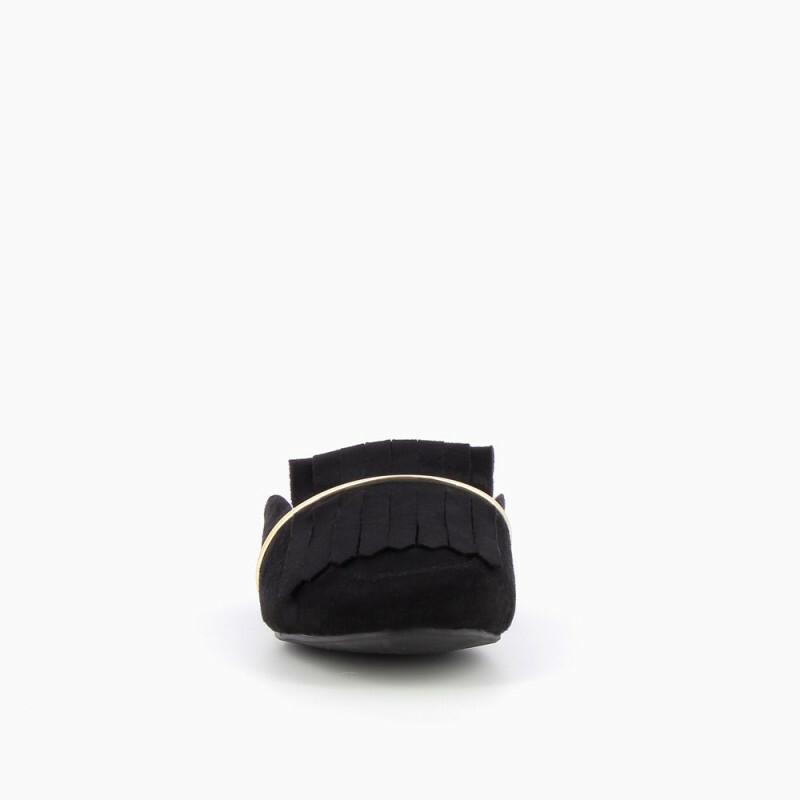 Black suedette mule-style loafers decorated with a Mexican Tab and a fine, supple gold band. 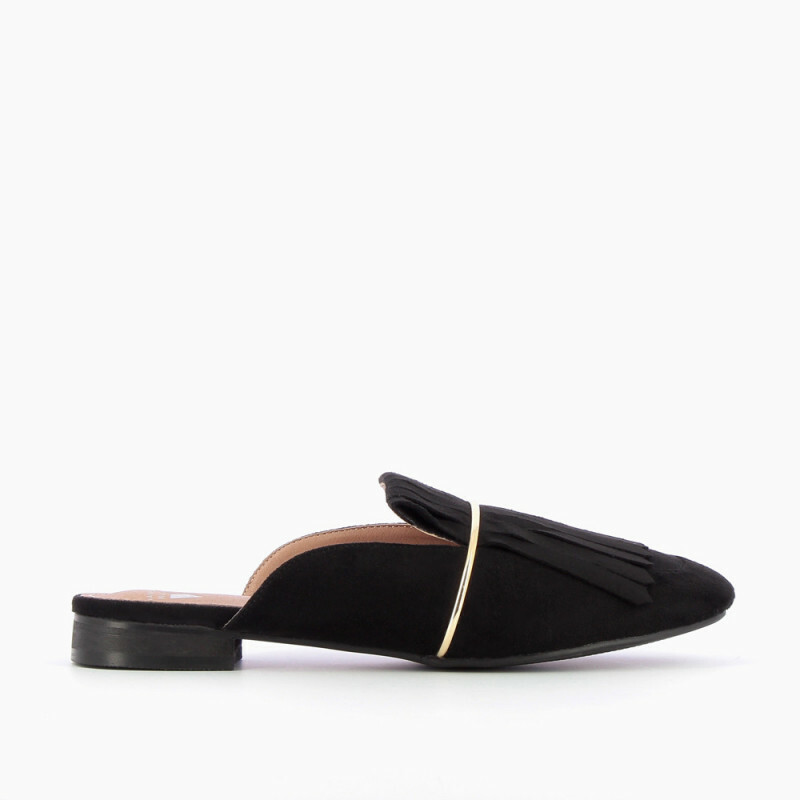 Almond toe.